Could Japan see a return to militarism as some have claimed? Several factors make that highly unlikely. Since Prime Minister Shinzo Abe came to power for the second time in December of 2012, there has been growing concern that his defense policies and nationalist ideologies are driving Japan in the wrong direction. Notably, two of Japan’s neighbors, China and South Korea, have complained that Abe’s actions, including his recent visit to the Yasukuni Shrine, are the prelude to a “return to militarism.” This concern warrants very important questions. What does “return to militarism” mean? Can Japan realistically return to its militarist past? And finally, are the concerns of Beijing and Seoul regarding Tokyo’s current behaviors valid? In answering those questions, it is important to analyze the dynamics of civil-military relations in contemporary Japan, relate them with those of the past, and draw sound conclusions on what they imply moving forward. The Japanese Ministry of Defense’s White Paper released in 2013, under the premiership of Abe, clearly underscores the importance of civilian control over the military. It recognizes that “the Diet, representing the Japanese people, decides laws and budget including the allotted number of uniformed Self-Defense Forces (SDF) personnel and principal institutions of the Ministry of Defense/SDF. It also approves the issuance of Defense Operation Orders.” The hold of the Japanese Diet on the nation’s military affairs is strong, and this is significant given that Diet members are civilians, and are democratically elected officials subject to the will of their constituents. Moreover, the Japanese Constitution is very explicit in requiring that the positions of prime minister and other ministers of State in the Cabinet be held exclusively by civilians. It must be noted that the prime minister is designated as the commander-in-chief of the SDF, effectively subordinating Japan’s de facto military under a democratically elected government. Given these very strong institutions of democracy, Japan cannot realistically return to its militarist past. Apparently, the “return to militarism” refrain used by Abe’s critics in China and South Korea refers to the militarist attitudes that dominated Japan in the late Meiji and early Showa periods. However, the militarist Japan of that era was a result of the military’s capture of policymaking in Tokyo. During that period, the ideas of civilian intellectuals and policymakers in Japan were drowned by the voices of the military. The Cabinet had little influence over military affairs because the Meiji Constitution made the commanders of the Japanese Army and Navy directly answerable only to the Emperor. 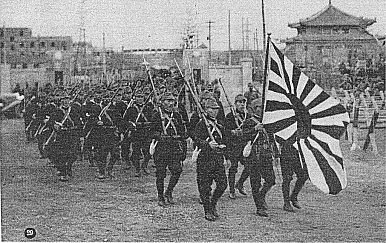 By the 1930s, the military had already established almost complete control of the Japanese government, particularly its defense strategy and foreign policy. Contrast that kind of civil-military dynamics to the current Japan and the “return to militarism” argument becomes inconceivable. Japan’s case is interesting. Apparently, institutions matter greatly in determining the civil-military relations of democracies. Before World War II, the military capture of policymaking in Japan was made possible by weak institutions that did not provide appropriate checks and balances in government, as well as strong institutional frameworks for military affairs. The actions of the Imperial Armed Forces thus did not necessarily reflect the national will and values of the Japanese people. The nature of Japan’s civil-military relations today makes it highly unlikely that the country could be militaristic again, much less imperialistic, rendering such concern invalid. While that alone is enough to weaken the “return to militarism” argument, there are other factors that further discredit it. Among them are Tokyo’s robust alliance with the world’s leading liberal democracy, its dependence on global trade and production-supply chains, and the economic security and benefits that the postwar international order provides. Jeffrey Ordaniel is a PhD Student at the School of Security and International Studies, National Graduate Institute for Policy Studies, Tokyo.